Laid down, 21 December 1942, at Consolidated Steel Corp., Orange, TX. 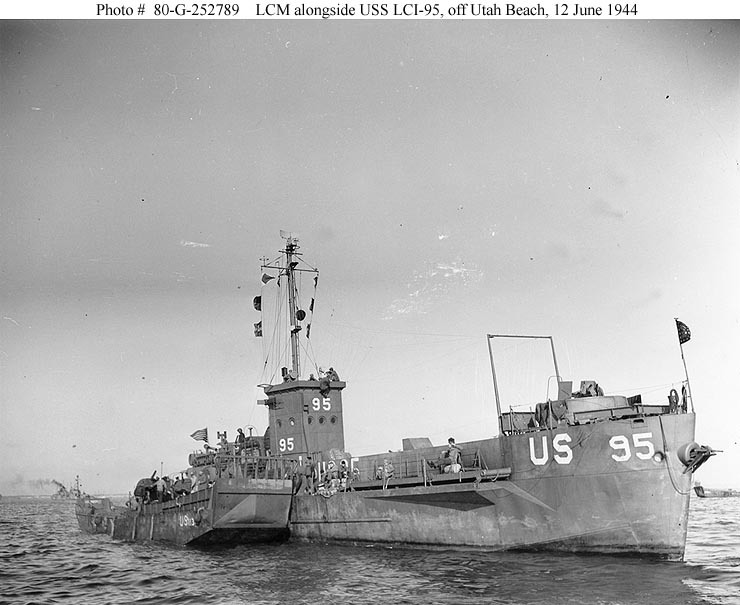 Decommissioned, 28 March 1946, at Terminal Island, Long Beach, CA. 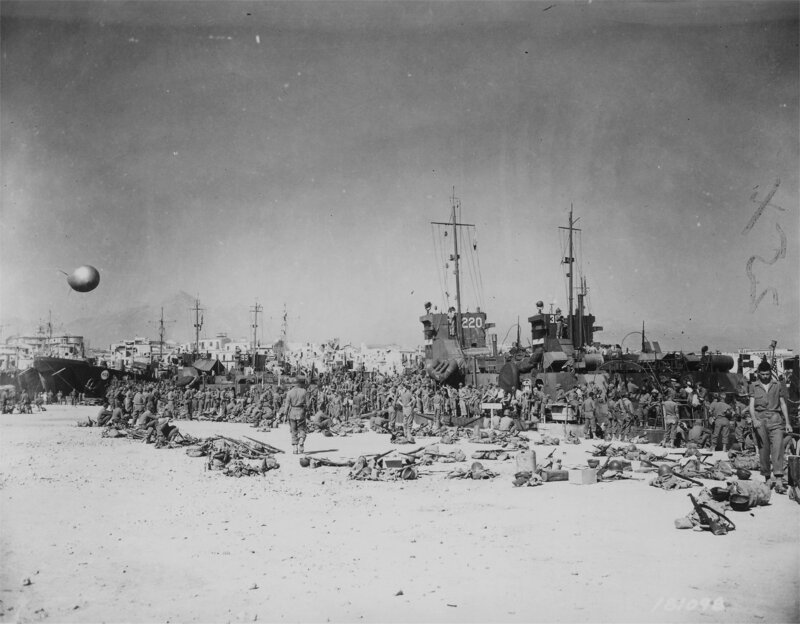 1049k USS LCI(L)-95 and USS LCI(L)-235 loading troops of the 45th Division, 4 September 1943, at Palermo, Sicily for the Salerno landings, second wave, on 9 September 1943. 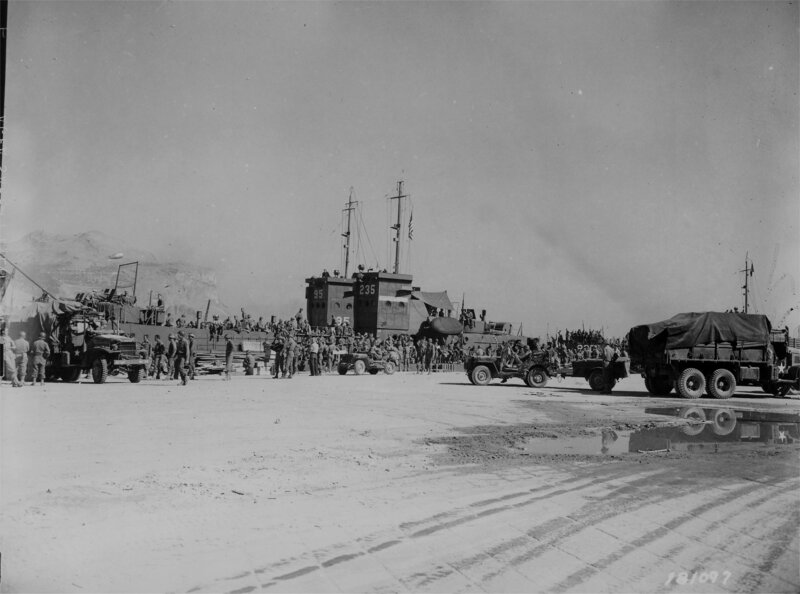 HM LST-425 is moored to the left of the LCIs (port side bow door just visible) at left in photo. 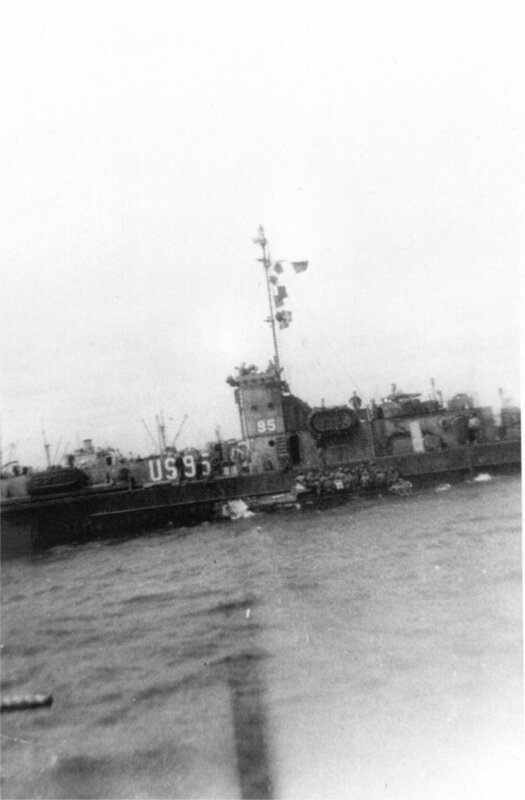 73k An LCM landing craft makes fast alongside USS LCI(L)-95, off "Utah" Beach, 12 June 1944, during the Invasion of Normandy.